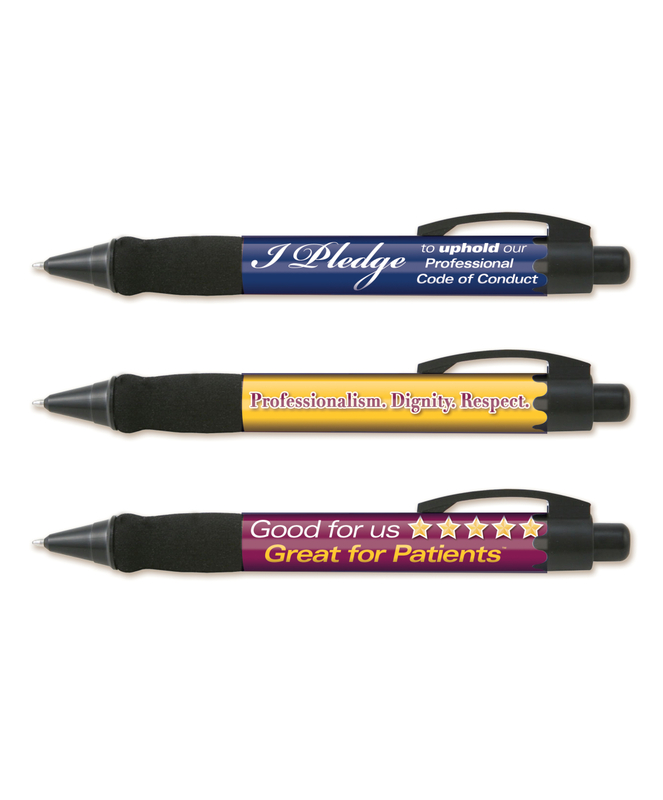 When staff members accept and use our Code of Conduct "Pledge" Pen they will be reminded of their commitment to uphold the organization's Code of Conduct. Pen features a comfy-squishy grip and is a pleasure to write with. Pen features 3 sided imprint - click on product image to review all 3 sides. Medium point pen with black ink. 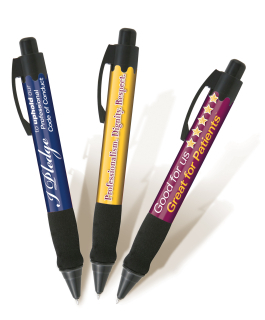 We can easily add your logo to our "Pledge" Pens. Please call one of our Customer Service Representatives at (877) 646-5877 for details and pricing.